This is the first of a short series of Edinburgh organs that several BOA members visited during the October 2016 weekend of OrganFest. Central to the success of the festival was City Organist John Kitchen MBE (right), who is also Director of Music of Old Saint Paul's Scottish Episcopal Church. 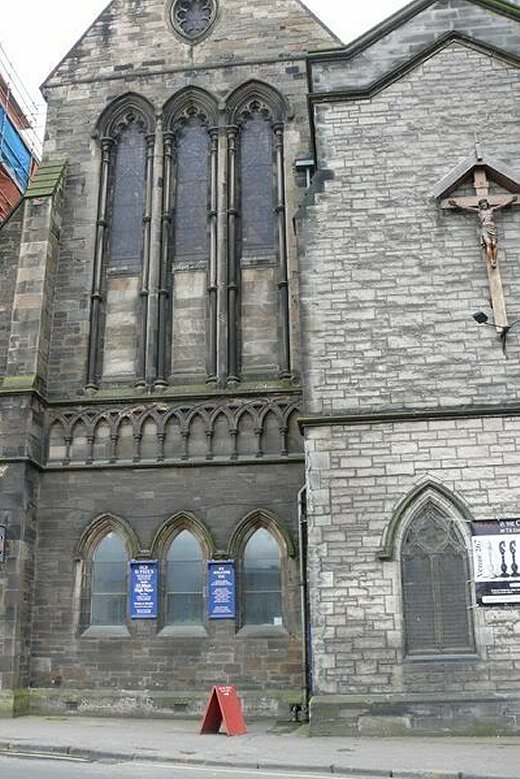 Although the present building dates from the 19th century, this historic Anglican church occupies a site where folk have been worshipping since 1689: the birth of Scottish Episcopalianism in Edinburgh. The organ was built by "Father" Willis in 1888. Slight modifications were made in 1936 and it was electrified in 1960, when a new console with tab stops was provided. 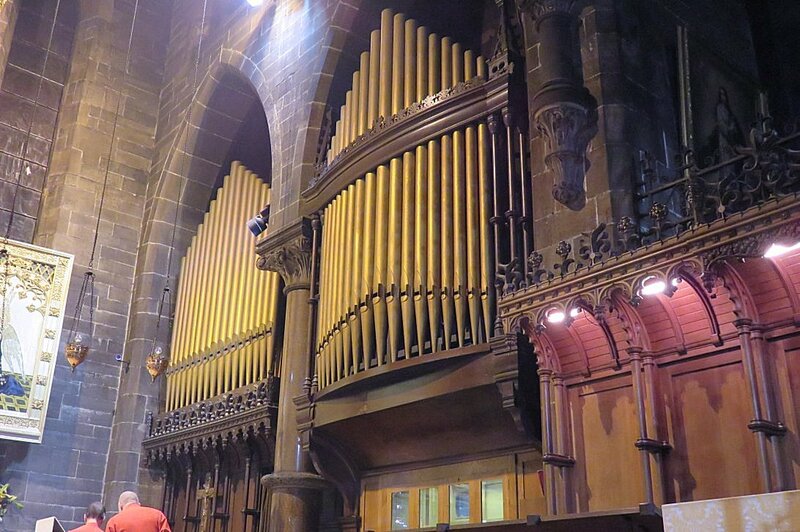 By the mid 1970s, the organ was in need of further work, so a complete rebuild was commissioned from Nicholson & Co, who replanned the specification and replaced the console. The Willis pipework remains untouched, but two new mixtures were provided. The soundboards were placed in 2000. The organ admirably supports the excellent choral tradition here, an example of which was heard at Solemn Evensong & Benediction on the Saturday of OrganFest, the latter including Widor's setting of Tantum ergo. 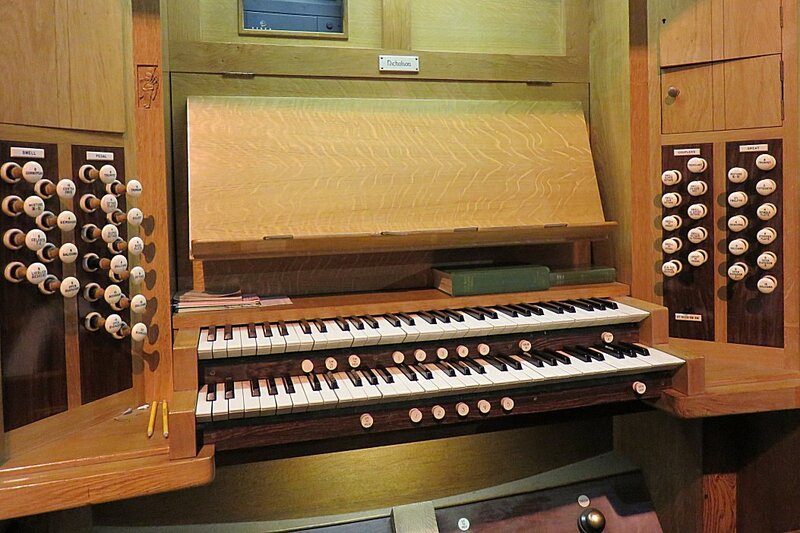 You can listen to a recording of another Edinburgh organ as May 17's Music of the Month.